On Friday I went along to The Body Shop event that was arranged to introduce some of the new products to a bunch of us blogger types. I decided that rather than posting something specifically about the event I would do a quick post including face of the day using my current favorites from the new products. These two items are absolutely lovely to the point where I have used them every day since Friday. This FOTD was from Sunday where I had a BBQ to celebrate my birthday – all the make-up held up impressively considering the heat! The eye shadow is very shimmery, I have used the pale shade all over the lid with a bit of the darker colour blended into the crease. 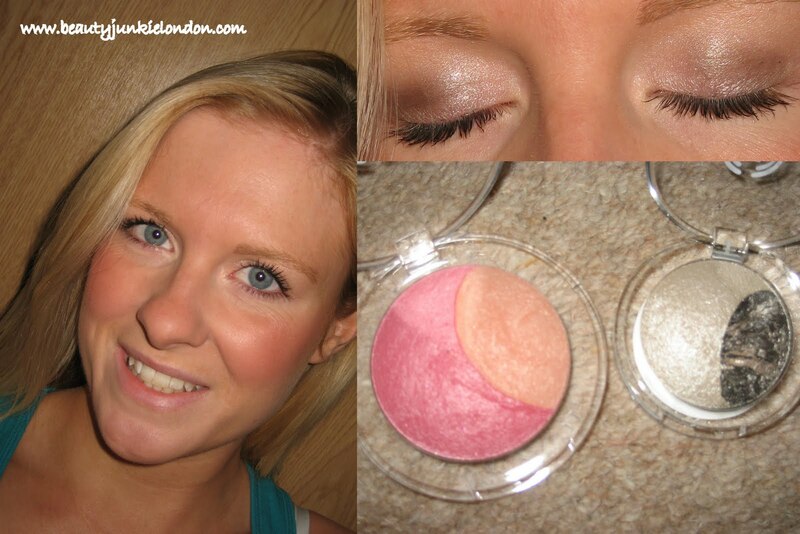 The blush is GORGEOUS – a peachy shade with pinky coral plus a more orange/peachy highlight. I have used this just with a normal blusher brush swirled across both colours – it does take a bit of building to get the colour to show up but it’s worth it. Below is a picture of the rest of the product I used for this. 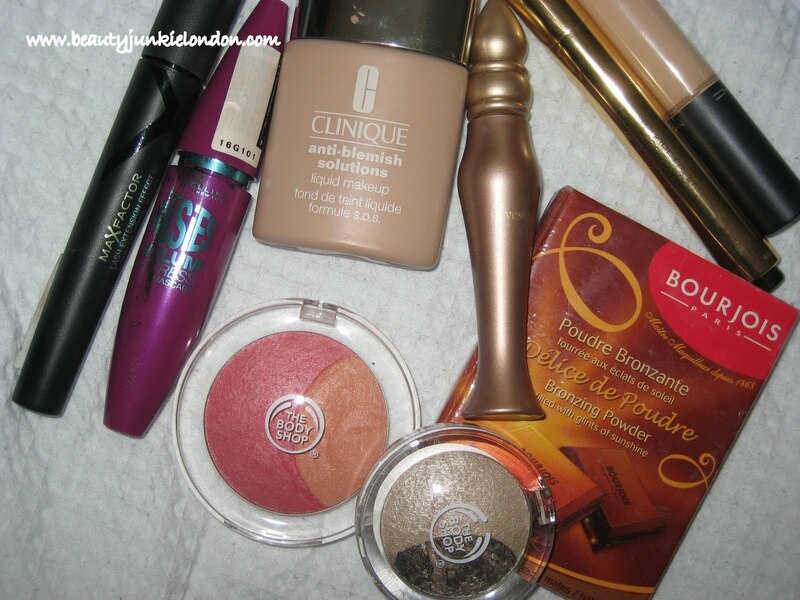 As usual, it’s a pretty basic neutral look – but hey, that’s just how I like my make-up. There is a pretty impressive collection of colours from the new range, will see if I can do something a little more daring next time. Perhaps a purple shadow look…. will see how brave I’m feeling. I need to embrace the colour! Products marked with a * were provided for consideration for review. You look gorgeous in that picture, as always. Really like the look of those blushers. Ooh, that blush looks so pretty! Great makeup brand selection! love the look! New follower here! hope you check mine out and return the favour!